Recently, we finished up our first Bible study at Frank Lake Covenant Church. This is the first Bible Study meetings that have taken place for 32 years in this lovely little building. Did I ever tell you that when Deano and I were cleaning out the windows from the shed at the original site, Mr. Johnson said we could purchase the original sign….and inside the sign were some old tin letterboards that said, “Bible Study” and “Prayer Meeting” from years and years ago! So, I knew they had Bible studies at Frank Lake Covenant Church! These past 7 weeks, women would arrive on Tuesday evenings, or Thursday mornings, eagerly looking forward to a couple of hours together with God and one another. Last spring, when I was seeking God for a headquarters for the ministry, God revealed to me a verse that seemed so important in my life, not just then, but every moment up until now! This verse produced much thought, much deliberation, and a slight curve in the path of my life. So often, I would pound on doors and push them, trying to force them open….with no avail. And at other times, I’d sulk and mope because God had not opened doors for me, that I thought should be opened. Last spring, God laid on my heart to write the Bible study for the women on doors. Each week, we’d study about a different Bible character who would face a door. The ladies and I talked about the doors in our lives, and most interestingly, Dean and I had to find new front doors for the church, and different sanctuary doors as well. When we were blessed with finding perfectly suited antique doors, for $50.00 each, from some wonderful people in a nearby town, the Bible study women were as elated as Dean and I! As the weeks went by, and we studied Noah facing the door of the ark, and Esther facing the door of the King, and other Bible stories, we watched as Al the carpenter, refigured, shaped, and molded the doors so that they fit perfectly. We could now enter and exit without worry or concern. We celebrated the doors! This past week, we had one of our largest groups on Thursday morning, and I went outside for a moment. When I walked to the end of the driveway, I looked up and it hit me…..there was Frank Lake Covenant Church. The steeple had been repaired and reattached, the siding restored, the windows have their storm windows covering them now, the bathroom has been added, the sign has been put up that says, “Best Life Ministries,” and I looked at the cars. 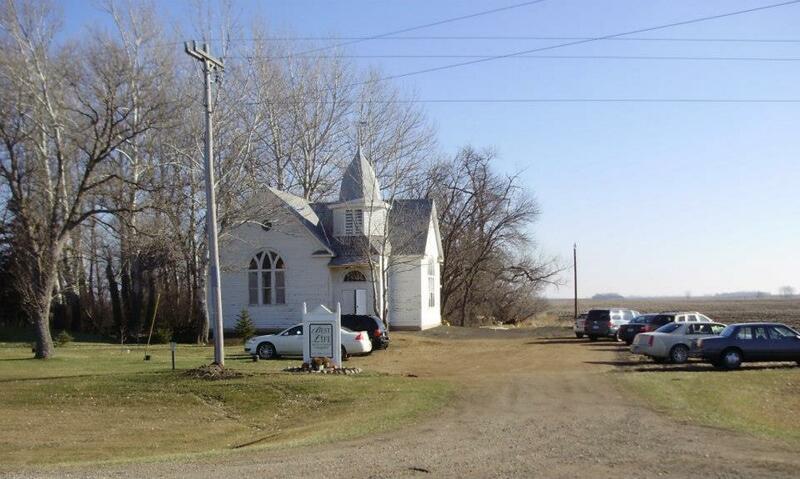 New life for Frank Lake Church. 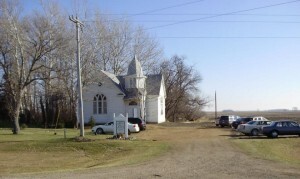 And I snapped a picture of the church and posted it to facebook. That afternoon, my sweet friend, Misty, from Thursday morning Bible Study wrote to me. She said, “Look closely at the doors of the church, Kathy. You will see that the front door is ajar. I was peeking out looking for you, but in the picture, you just see the front door open a bit. May that be a representation of the ministry’s heart for others…..that the doors of this church will be open to all for help, hope, and healing. And yesterday, when my sweet friends the Johnsons arrived with their kind daughter, son-in-law and grandkids, to see the church since its move, I looked at the light in their eyes, and the joy in their faces as they realized, the doors are once again open for God to use this place. May it truly be a place of help, hope, and healing.